Nokia risks having its debt downgraded to 'junk bond' status, after its long-term credit rating plummeted with an influential investment firm. The Finnish manufacturer now sits at Baa3 with Moody's Investors Service, that's just one level above junk. The firm says the outlook is negative for Nokia, as it burns through cash in an attempt to turn around its business with the new Lumia line of Windows Phones. 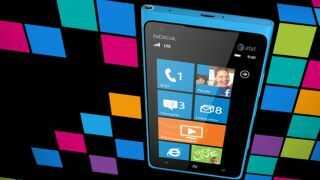 Moody's says that Symbian sales, especially the low cost handsets, are falling at a far greater rate than Lumia sales are growing, which leaves Nokia in a difficult position. How to get back in the black? Stock prices have dwindled to their lowest in 15 years and Moody's grim proclamation has seen them dip to new lows on Monday. "Nokia will continue to increase its focus on lowering the company's cost structure, improving cash flow and maintaining a strong financial position," said Executive Vice President and Chief Financial Officer Timo Ihamuotila today. In somewhat better news, Moody's still says it expects Nokia's Lumia range to rank second only to Android and iOS. However, what shape will the company be in when that long road is finally complete? And will it be enough to save Nokia from extinction.